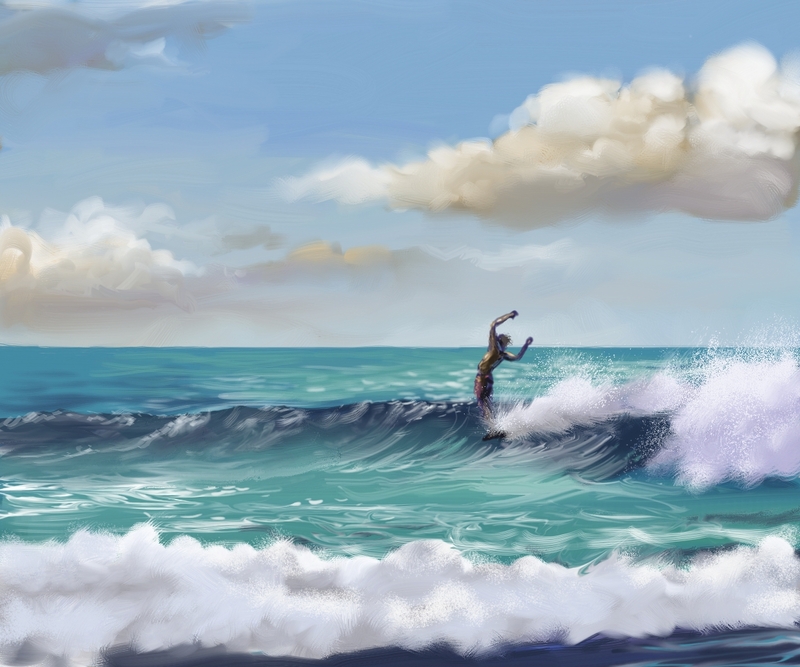 Playing with new techniques…just another quick excursion into digital surf art. 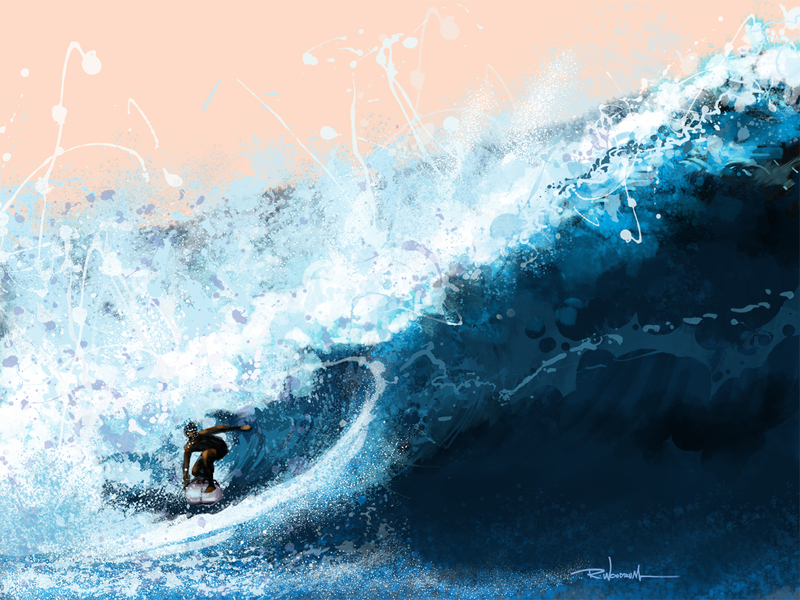 If I can’t GO surfing…I can at least paint images of surfing, no? My busy schedule has really hindered me from keeping up with R.E. 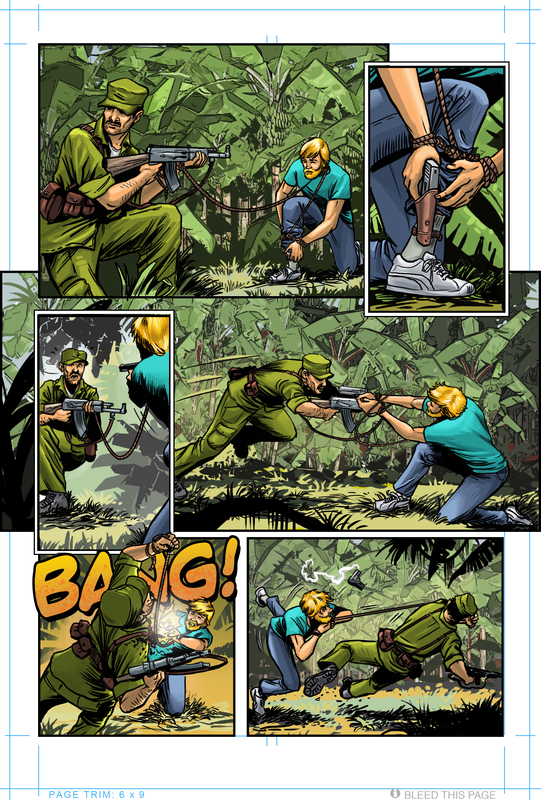 Still, I haven’t forgotten where I am, and I’m still fueled by a desire to see this project to the finish…so, I posted another page of chapter seven. Click the picture to go there. 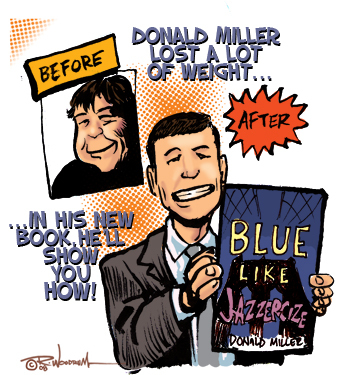 Seriously…when I saw Donald Miller praying at the DNC, all I could think about at first is how slim that dude looks. Then I started putting it all together. The guy’s a genius. Way to go D-man!!! I try to keep Mondays open for a day off…so yesterday I painted something to go in the dining room Robbie’s been working on to make cohesive. For 25 years of marriage, we’ve seldom had any kind of unified decoration or decent looking room…until recently. Now we have a nice dining room table, actual curtains on the window (which Robbie ingeniously made) and an honest to goodness color theme. So…trying to do my part, I painted a painting that incorporated some of the major colors she has working in her china and other stuff. My other camera broke…so I shot this one off my phone, and it’s not very good, but you get the idea. Which I did. And I’m glad I did. The above took about 2 hours total (after the sanding), which I think I’m a lot more comfortable with. If I have too long with a painting, I tend to smother it (think Tommy Boy with the muffin).